In only four months, Midas Hospitality – a leading hotel development, management and investment firm – raised $35 million mainly from St. Louis area investors for its Midas Opportunity Zone Fund. 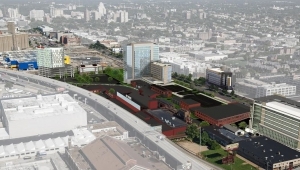 Midas Hospitality’s newest project brings the first hotels to the St. Louis’ Cortex innovation district and Prospect Yards community. 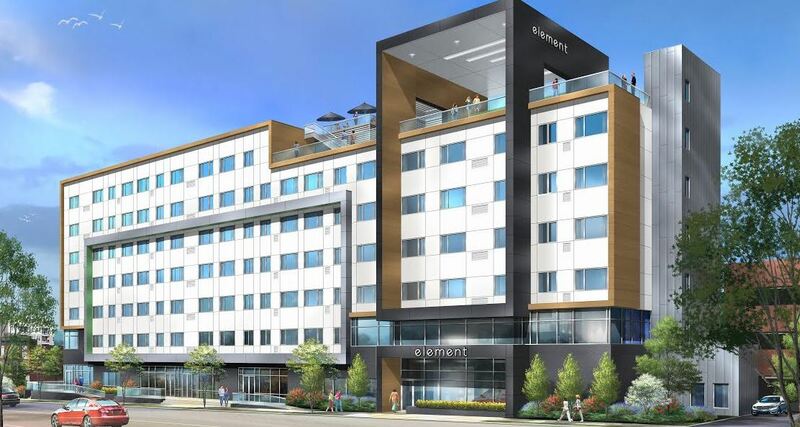 The 129-room Aloft and a 152-room Element hotel are currently under construction and slated to open in 2020. MC Hotel Construction, a sister company to Midas Hospitality, is the general contractor for both hotels. Aloft is located at 4239 Duncan Ave., and the Element is at 3763 Forest Park Ave. The hotels will target transient and extended stay customers for the thriving area that includes Aon, Boeing, Microsoft and Square among its tenants. Barnes-Jewish Medical Center, Saint Louis University, SSM Health, and Washington University St. Louis are also conveniently located nearby. The Tax Cuts and Jobs Act (TCJA) recently created a new law which provides tax incentives for Opportunity Fund investments like Midas Hospitality’s Cortex undertaking. While this was an added tax benefit for the project, Midas had already committed to the hotel construction prior to this tax change announcement. “The success and excitement building in and around the Cortex, as well as the need for these attractive hotels in that area, were a huge draw for our prestigious list of investors,” said Midas Hospitality’s Co-Founder J.T. Norville. “The significant tax benefits afforded by the recent legislation changes have been the icing on the cake, and we couldn’t be prouder that St. Louis is realizing the advantages of this new opportunity.”. MC Hotel Construction, which is also located at 1804 Borman Circle Dr. in Maryland Heights, Mo., specializes in hotel construction and renovations with projects underway across multiple states. MC Hotel Construction builds for leading brands such as Hilton, Marriott, and IHG. For more information, call (314) 339-6600 or visit http://www.mchotelconstruction.com. Midas Hospitality – a leading hotel development, management and investment firm – recently opened its third Marriott property in Charlotte, NC. Located at 5110 Trojan Dr., the 119-room Residence Inn by Marriott is a four-story, 82,000–square-foot hotel. The Residence Inn Charlotte Steele Creek has studio, one-bedroom and two-bedroom suites. The hotel features an outdoor swimming pool, patio with barbecue grill, fitness center, meeting room, and business library. 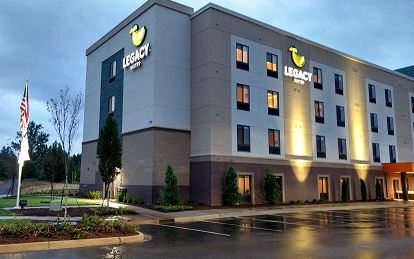 Located in the Steele Creek Business Park next to the Charlotte Premium Outlets, the hotel is conveniently located seven miles from Charlotte Douglas International Airport. The hotel will be managed by Midas Hospitality with Henry Schmidlin as General Manager and Sue Wing as Director of Sales. 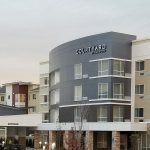 Schmidlin previously served as the Assistant General Manager at another Midas Hospitality-operated hotel, the Residence Inn and Fairfield Inn & Suites located at 2220 W. Tyvola Rd. The Residence Inn was built by Midas’ sister company MC Hotel Construction, a general contractor specializing in new hotel construction and renovations. Steele Creek Hotel Holdings, LLC is the owner of the property. “Charlotte is a fast-growing metropolitan area with a strong business climate and sense of community,” said David Robert, Midas Hospitality’s CEO and Co-Founder. “It is the perfect environment for vacationing guests and corporate visitors, and we look forward to continuing to serve the region at our newest property.” Robert added that his company will open two more properties in the Charlotte area within the next year. 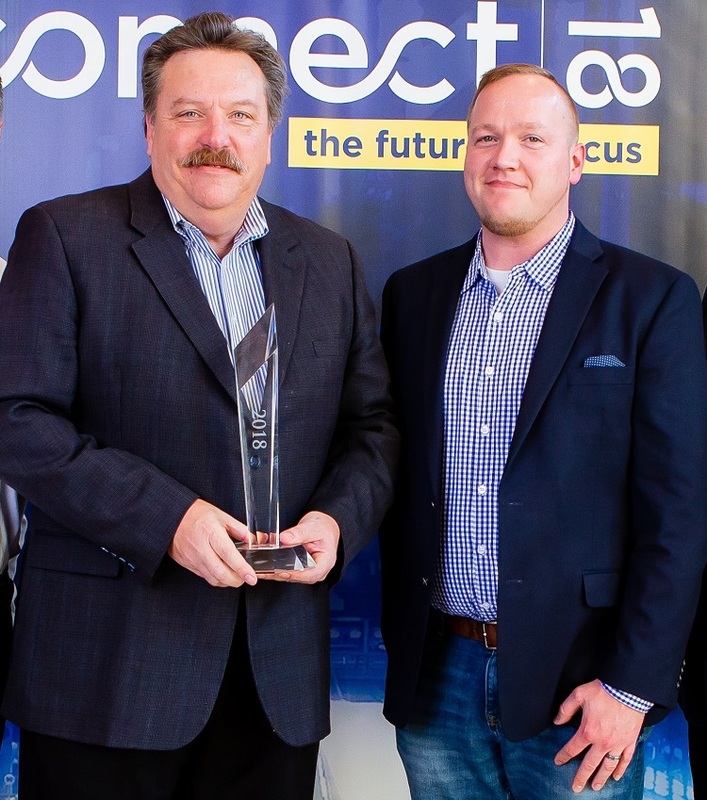 Photo Above: Pictured from left to right are Midas Hospitality’s CEO and Managing Member David Robert and VP Development and Construction Chris Shinkle. While Midas Hospitality has multiple hotels in 14 states throughout the country, the latest property – its 15th in Missouri – was built practically in its very own backyard. The dual-branded Residence Inn and Courtyard by Marriott will open its doors Oct. 26 at 12815 Daylight Dr. in West County. The four-story, 136,000-square foot hotel is located at Manchester Rd. and I-270. 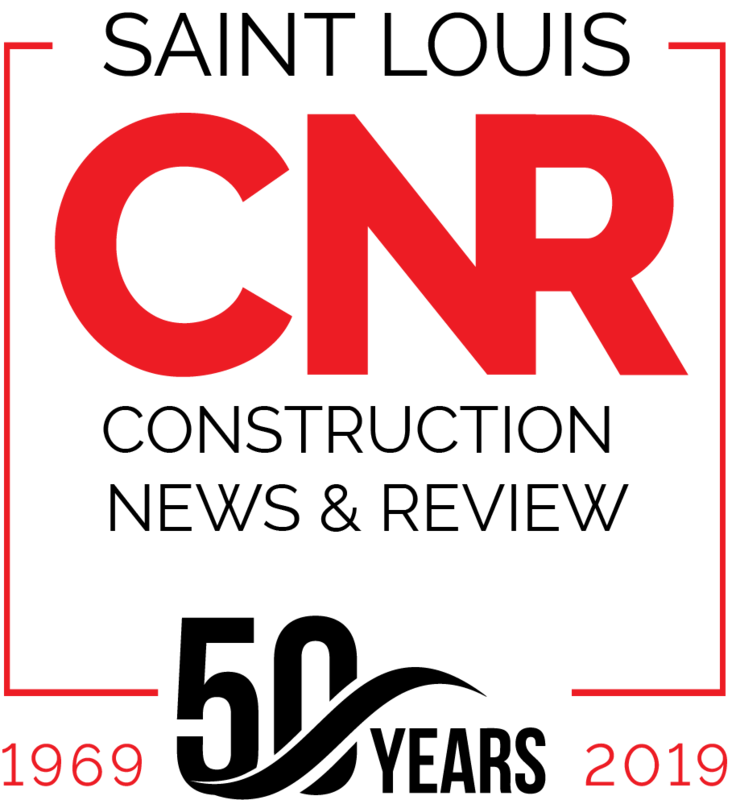 The hotels were developed and are owned by the Roberts’ families, principals of Commercial Development Company, Inc., who have owned the former quarry property for more than 25 years. The 101-room Residence Inn and the 110-room Courtyard by Marriott will be managed by premier hotel management group Midas Hospitality. Jim Will, who has 26 years of hospitality experience, was named the General Manager for both hotels. The property was built by Midas’ sister company MC Hotel Construction, a general contractor specializing in new hotel construction and renovations. The dual-branded hotel features a state-of-the-art fitness center, indoor pool, meeting rooms, and outdoor gathering spaces with gas-burning fire pits. The Courtyard Bistro features a wide variety of dining options from convenient fast food to upscale dining. Founded in 2006, Midas Hospitality has developed, opened and currently manages numerous properties including 40 hotels in 14 states. The company serves global brands including Hilton, IHG, Marriott, and Starwood. Midas Hospitality’s headquarters are located at 1804 Borman Circle Dr. in Maryland Heights, Mo. For more information, call (314) 692-0100 or visit http://www.midashospitality.com. MC Hotel Construction, which is also located at 1804 Borman Circle Dr. in Maryland Heights, Mo., specializes in hotel construction and renovations with projects currently underway in six states. MC Hotel Construction builds for leading brands such as Hilton, Marriott, IHG, Starwood, and Legacy Suites. For more information, call (314) 339-6600 or visit http://www.mchotelconstruction.com. Two hotels are better than one, especially when an area hasn’t experienced new hotel construction since 1998. 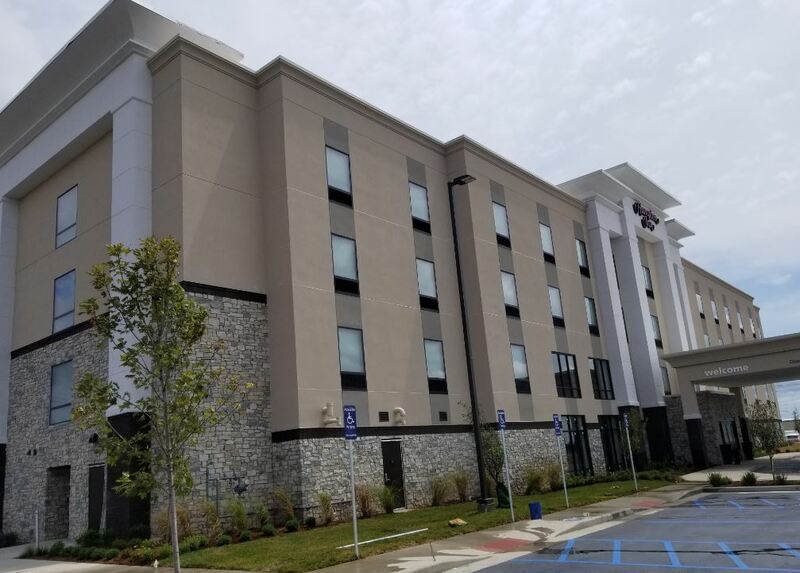 Enter Midas Hospitality, a premier hotel management group, which is the owner and manager of the recently opened 100-room Hampton Inn Brooklyn Park. 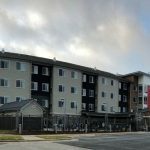 The hotel is part of a $28 million development that includes a 107-room Home2 Suites which will open later this year. 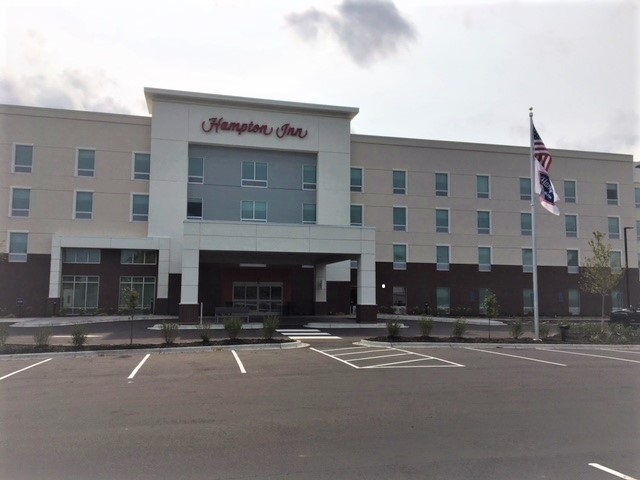 The 52,000-square-foot Hampton Inn is located at 9470 W. Broadway in Brooklyn Park, MN across from Target’s Corporate North Campus. The hotel features an indoor pool, meeting room, and fitness area. It is only 20 miles from Downtown Minneapolis and the home of Mall of America and the Shoppes at Arbor Lakes, as well as 30 minutes from Minneapolis-St. Paul International Airport. Brooklyn Park has 47 miles of trails and 67 parks including the Rush Creek Regional Trail and the northern section of the Palmer Lake Park. Midas Hospitality will manage the hotel that was built by sister company MC Hotel Construction, a general contractor specializing in new hotel construction. Midas Development provided all hotel development services from site selection to opening day, with Gray Design as the architecture firm. 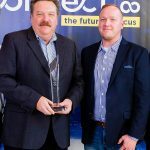 All four companies are headquartered in St. Louis, MO. A Midas owned and operated Hampton Inn by Hilton recently opened at 1240 Commerce Dr. in Sikeston, MO. The 57,000-square-foot four-story hotel cost $11 million. Midas Hospitality, a premier hotel management group, recently created a sister company called Midas Capital. The company’s new office, which is located at 63 Wall St. in New York, will be led by Director of Investments Josh Burrell. Director of Investments Eric Goettelmann will head the St. Louis office, which is located at 1804 Borman Circle in St. Louis and is the headquarters of Midas Hospitality. 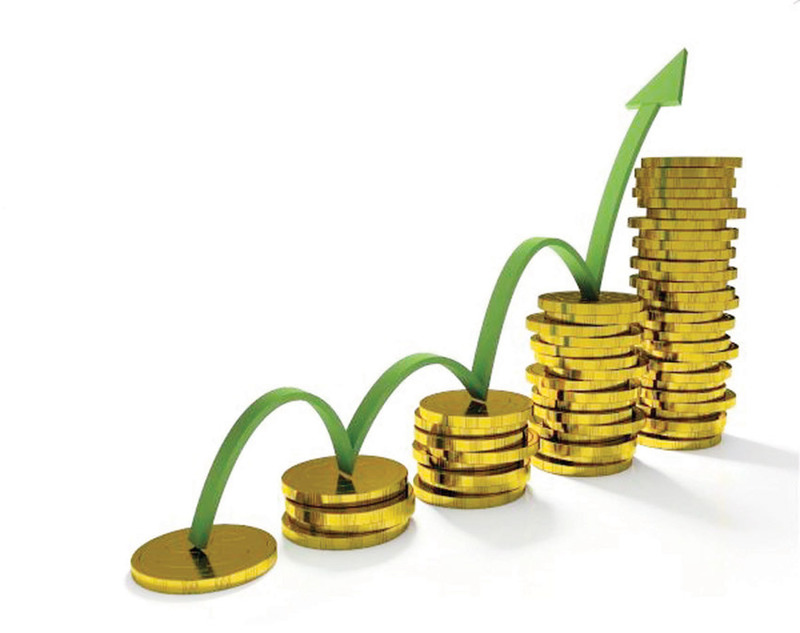 Midas Capital will offer investors a new fund vehicle in order to raise money for future hotel acquisitions and developments. Instead of investing in only one hotel, this new opportunity gives Midas investors greater diversification as the fund targets approximately 10 to 15 hotel projects. 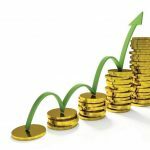 Midas Capital plans to raise up to $100 million by the middle of 2019 with the assistance of approximately 250 investors. Midas Capital estimates its new fund will allow Midas Hospitality to employ an additional 350 employees across the Midwest and Southeastern states. Burrell’s responsibilities include strategy development, acquisition due diligence, investor relations, and sector research. He possesses more than 10 years of investment advisory, capital markets, and acquisition work. Burrell is a member of the New York Society of Security Analysts and a member of the CFA Institute. Prior to joining Midas Capital, he served as the Vice President in the Capital Advisory Group for Lazard Asset Management, a global investment banking firm based in New York City. Burrell previously worked as a senior analyst in both New York and London at Moody’s Investor Services. He currently serves as a board member on the Gateway Disabled Ski Program and holds FINRA Series 7 and 63 licenses. He earned his Bachelor of Science in Business Administration (B.S.B.A.) degree with a concentration in finance in the Applied Financial Analysis program from the John Cook School of Business at Saint Louis University. Goettelmann’s responsibilities include managing equity raises, as well as leading projects and corporate financing initiatives such as modeling and underwriting for new developments and acquisitions, deal structuring, debt procurement, debt management, financial reporting, forecasting, performance analysis, and ensuring Midas Capital and its funds are operating within compliance of the SEC and other regulatory bodies. He has over 10 years of finance, accounting, business development and acquisition, and consulting experience, which includes serving as Controller for Midas Hospitality. Prior to joining Midas Hospitality, Goettelmann worked in the assurance services department at a local public accounting firm while co-founding and establishing multiple businesses. He is a member of Audubon Associates, co-founder of Milk and Honey in Wildwood, Mo., and serves on the board of the Midas Hospitality Family Foundation. He is currently earning his Master of Business Administration (MBA) degree from the Olin Business School at Washington University in St. Louis and has his Bachelor of Science in Business Administration (B.S.B.A.) degree with a concentration in Accounting from the John Cook School of Business at Saint Louis University. For more information about Midas Capital, call Josh Burrell at (347) 352-4170, Eric Goettelmann at (636) 293-6411, or visit www.midashotelfund.com. Founded in 2006, Midas Hospitality has developed, opened and currently manages numerous properties including 40 hotels in 14 states. The company serves global brands including Hilton, IHG, Marriott, and Starwood. Midas Hospitality’s headquarters are located at 1804 Borman Circle Dr. in Maryland Heights, Mo. For more information, call (314) 692-0100 or visithttp://www.midashospitality.com. A St. Louis company is adding a Texas hotel to its expanding portfolio that includes 41 hotels in 14 states. 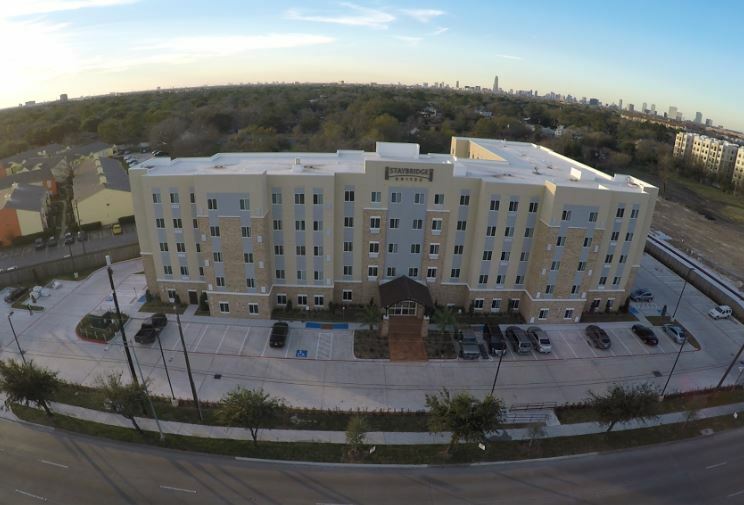 Midas Hospitality, a premier hotel management group, recently purchased a Staybridge Suites in Houston from Pride Management Inc. of Beaumont, Texas. The $21.6 million property opened in January of 2017 and is the first hotel the company has acquired in Texas. Located at 9000 Main St. directly across from NRG Stadium, the 120-room hotel is also conveniently located near the Houston Medical Center. The property features a variety of amenities including a business center, meeting room, fitness center, outdoor pool, evening reception, and barbeque grills. Founded in 2006, Midas Hospitality has developed, opened and currently manages numerous properties including 41 hotels in 14 states. The company serves global brands including Hilton, IHG, Marriott, and Starwood. Midas Hospitality’s headquarters are located at 1804 Borman Circle Dr. in Maryland Heights, Mo. For more information, call (314) 692-0100 or visit http://www.midashospitality.com.